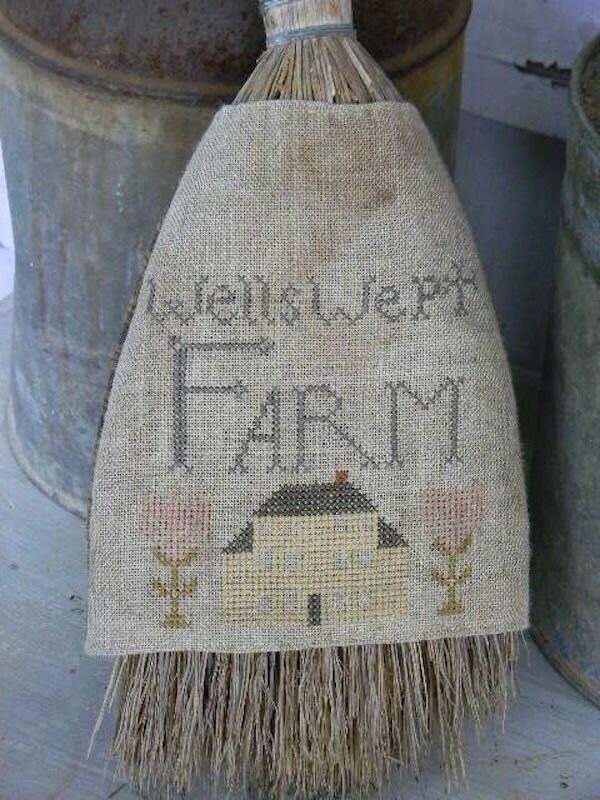 Cross Stitch Pattern called "Well Swept Farm". Designed by Notforgotten Farm. A great primitive broom cover!